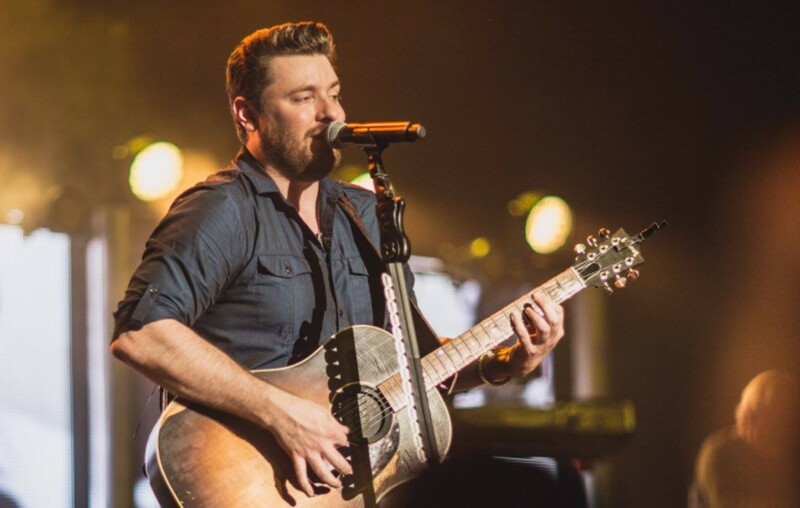 Country music star Chris Young has had a stellar 2017! Check out some of the artist's biggest highlights right here! Country music artist Chris Young‘s 2017 has been full of exciting career milestones. The Tennessee native counts his induction as the newest member of the Grand Ole Opry at the top of his long list of accomplishments. After joining fellow country star Jason Aldean as a special guest on his They Don’t Know Tour throughout 2017, Chris played his final show of the year on December 16th, surprising a sold-out hometown crowd at Nashville’s Bridgestone Arena with an acoustic performance before country music icon Garth Brooks took the stage. The banner year also included the release of his highly anticipated seventh studio album, Losing Sleep, his third record in less than two years and second consecutive studio album to debut at No. 1 on Billboard’s Top Country Albums Chart. Earlier this month, the title track from Chris’ chart-topping album was officially certified GOLD by the RIAA. In addition to the success of the new project, Chris hit another career milestone in 2017, celebrating his 9th No. 1 and Gold single “Sober Saturday Night” featuring Vince Gill, from his ACM Album of the Year nominated 5th record, I’m Comin’ Over. The RCA Records Nashville artist also earned RIAA Platinum certifications for his acclaimed album Neon and Grammy nominated single “Think Of You” with Cassadee Pope. Chris is looking forward to big things in 2018, kicking off the new year headlining the Chris Young Losing Sleep 2018 World Tour starting January 11th in Indianapolis. Joining him on the road are special guests Kane Brown, Morgan Evans, and Dee Jay Silver. On March 9th, the Country Music Hall of Fame and Museum will unveil the exhibition ‘American Currents: The Music of 2017,’ which will feature memorabilia from Chris’ noteworthy year. Watch the singer-songwriter’s heartfelt message to fans below! Be sure to share this update with other fans of the star!